At Vodafone we take our role as a good corporate citizen seriously. We're committed to doing the right things for our community, our environment and our people. We want to help to make New Zealand a better place to live, work and play, so we're committed to improving the health and well being of young Kiwis. We do this through the Vodafone NZ Foundation, our own charitable trust set up in 2002 and funded solely by donations from Vodafone. Since its inception we've invested over $16 million in our communities. Through World of Difference, we have supported 69 inspiring individuals to run programmes that make a real difference for young people, and we've created a whānau around them which has helped them come together and do even more to make the world a better place. We know that technology provides new opportunities and experiences but it can also create challenges. We're committed to developing tools and solutions to help keep people safe and secure, both on and off-line. 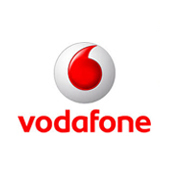 These include free services like Vodafone Blacklist, which allows people to instantly block unwanted TXTs and PXTs, and Vodafone Guardian, a free Android app that allows parents to help keep their children safe on their smartphone. We take our responsibilities to the environment seriously and are doing what we can to reduce our environmental impact, and helping our customers and staff do the same. We're the first and only mobile operator in New Zealand to provide Eco-ratings for handsets, and we helping our customers do the right thing with their old handsets with Trade-In and mobile recycling. And that's only part of the story. Read more about how we're doing in our 10th annual Corporate Responsibility report. 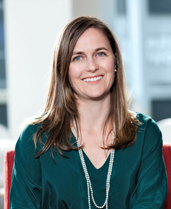 Abbie Reynolds (Head of Sustainability & Foundation, Vodafone New Zealand) talks about Vodafone's approach to embedding sustainability, the business value from doing this and why sustainability is important for all New Zealand businesses.